1. Getting Back to Nature: If you are interested in the great outdoors, an RV is a great way to vacation. You can visit state or national parks, tour famous landmarks and simply enjoy some fresh air and natural settings. Take a hike or go fishing. Try white water rafting or canoeing. Play some golf, go swimming, ride your bike. Get some exercise or simply do nothing but enjoy your surroundings. 2. The Comforts of Home: In an RV, you can have the best of both worlds. Enjoy the great outdoors with more creature comforts than tent camping. Whether you own an RV or try a rental, most RVs are well equipped. You will likely have a kitchen with microwave, fridge and stove, a TV and VCR, beds, living and dining areas and bathroom with shower. Many RVs have slide out rooms that increase the living area at the touch of a button. You can sit outside under your awning, get out of the rain if the weather changes, and turn on the air conditioner if it gets too hot. 3. Family Matters: Family members of all ages tend to connect with each other when they are away from their normal routine enjoying a simpler lifestyle. Remember that family togetherness can be a double-edged sword. While the RV is comfortable, it is a small living area for a large family. If you are renting, bear this in mind in choosing the size of your rental RV. During the day, try to spend time outdoors or in different activities, so that each family member gets a bit of personal space and time for themselves. But the minor logistics can be managed. The general consensus among RVing families is that an RV vacation tends to bring the family closer together with more communication and the sharing of good times. 4. Cool for Kids: An RV vacation can be a great way to travel with children. They can go out to play or take part in campground activities. There are likely to be other kids to meet and new places to explore. Children of all ages will enjoy an old-fashioned campfire complete with stories, songs and stargazing. And most kids think it’s pretty cool to be in an RV “home on wheels”. 5. 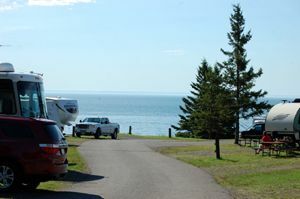 Campgrounds: There are many choices in campgrounds and RV parks. In peak season and tourist areas, you should make reservations. Look for the amenities that are important to you. Campgrounds may have swimming pools, lakes, boating, fishing ponds, miniature golf, playgrounds, hiking trails, game rooms, walking or bike paths, tennis courts and activities for kids and adults. You may find dances, barbeques, contests or other entertainment. 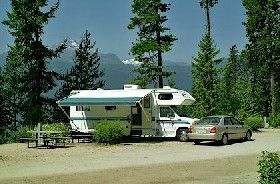 RV Clubs are worth joining to get campground discounts and other services. Consider the size and setting of the campsites and check out overall campground ratings in campground directories. Also consider proximity to other attractions or landmarks that you want to visit. 6. Flexibility: In an RV, you have the flexibility to change locations if you get the whim. But take this with a grain of salt. For popular destinations, you may not be able to pick up and find another campground without a reservation. You also want to strike the right balance between seeing different areas, the amount of time spent driving and ensuring you have enough time to relax. Cautions aside, an RV can give you a lot of freedom and spontaneity. RV travel appeals to an inner pioneering spirit and allows you to create your own adventure as you go along your way. You can explore the country at your own pace or take off for last minute mini-vacations, tailgating events and weekend trips. 7. Affordability: The question of whether it is cheaper to take an RV vacation doesn’t have a “one size fits all” answer. The comparison really depends on the type of vacations you would take instead, as well as the way in which you plan to RV. For a one-time trip, you can compare the costs of renting a suitable RV to the costs of hotels, airfare or other means of travel. Or if you are considering regular RV vacations, you may want to purchase a motorhome or towable trailer. In this case, you would need to factor in operating costs, maintenance and the purchase price. In an RV, you can save money by cooking meals at home vs. dining out. You can minimize expenses if you take advantage of activities and amenities already included in the campground rate. 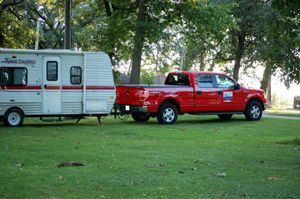 Fuel expenses can be managed by reducing the distances traveled and staying longer at a given campground or park. Driving the RV: Driving yourself gives you control over where you go and the pace of your travel. You don’t have the hassle of airline counters and keeping to schedules. You can stop and take a break when you choose. You don’t need a special license to drive an RV. Sure, it takes some getting used to — but the number of RVs on the road should tell you that it is doable. Practice on your own (or with one other person) before you load up your passengers. Take advantage of any classes available through your dealer or one of the many RV organizations. How about a relaxing vacation for a change? How many times have you returned from a trip saying you need a vacation from the vacation? Now don’t kid yourself – if you are the type who likes to schedule all the details of a trip, that’s not going to change simply because you are traveling in an RV. But in choosing an RV vacation, you may shift your thinking and be more apt to use your time off as an opportunity to truly relax and unwind. Test out the RV Lifestyle: The RV vacation may serve as a test drive to gauge your overall interest in the RV lifestyle. There are RVers who spend several weeks per year in RV travel. Other RVers take off for months. Snowbirds are RVers who make an annual trek to warmer climates for the winter season. And then there are full time RVers whose only home is their RV. Many of these people started out by vacationing in an RV as a way to try out the RV lifestyle. About The Author: Jill is a fulltime RVer and the editor of http://www.your-rv-lifestyle.com, where you can find more advice for choosing, affording and enjoying your RV lifestyle.